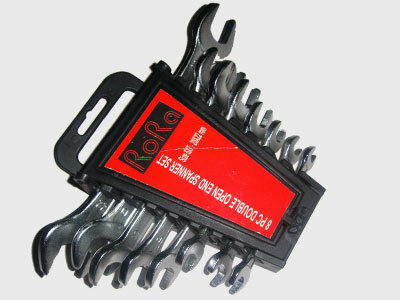 The open ended spanner is the most common type. The head has its jaws offset by about 15 degrees from the run of the shaft. This is to ensure that the spanner can be turned over to engage different flats of a nut when working in confined spaces.